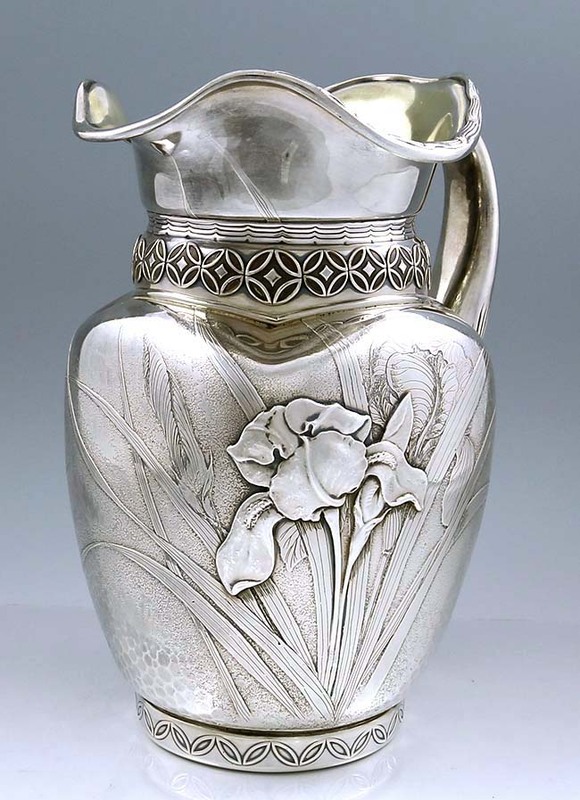 Take a look at this superb antique sterling silver pitcher. 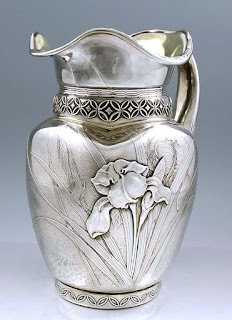 At first glance it looks very much as if it could be a Tiffany pitcher but the marks are Whiting. This is probably the work of Charles Osborne, one of Tiffany & Company's most talented designers who worked for the Whiting Company as well. He used acid etching, spot hammering and chasing to achieve this fabulous design. There is also some inlaid copper in the design around the neck.